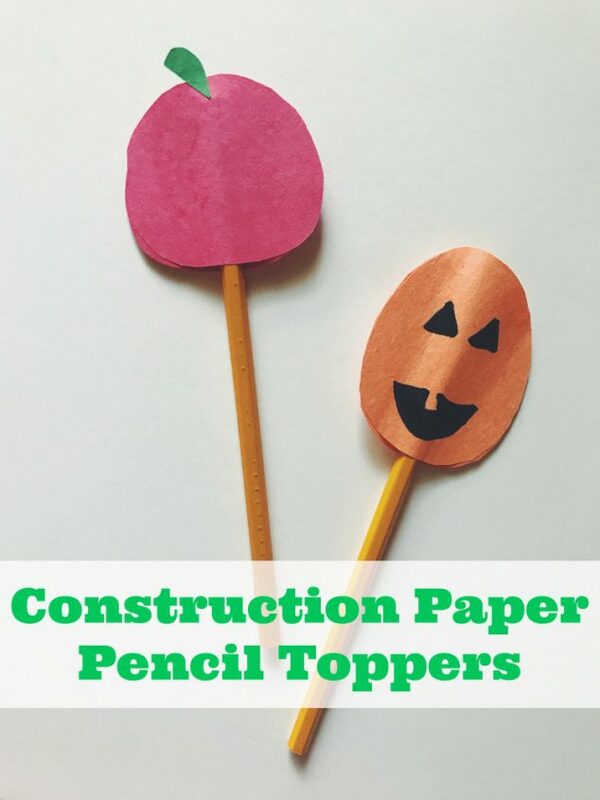 Here is a fun craft for your kindergartner! 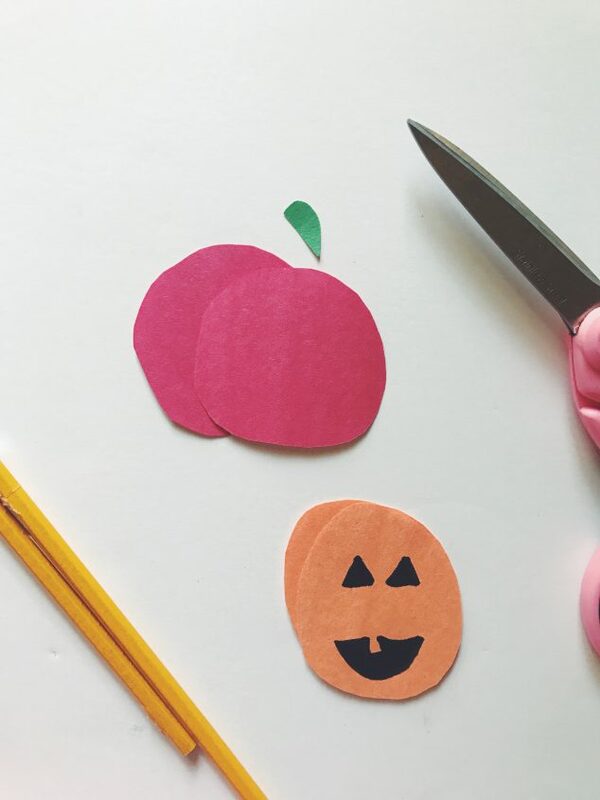 We love making construction paper crafts like these Fall Pencil Toppers. They require very few materials and it’s a very hands on craft for the kiddos. Now, yes, you can purchase fancy versions but this construction paper version is quite simple to put together and when you want to switch to a different topper, it doesn’t feel bad to toss the old one out! 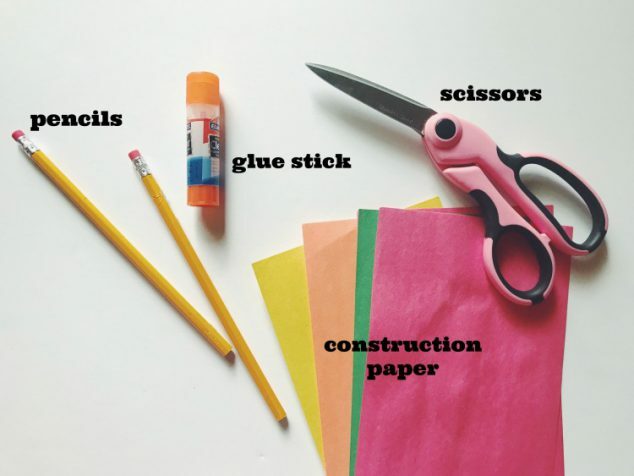 Construction paper DIY Pencil Toppers add a fun accessory to your plain ole pencil! 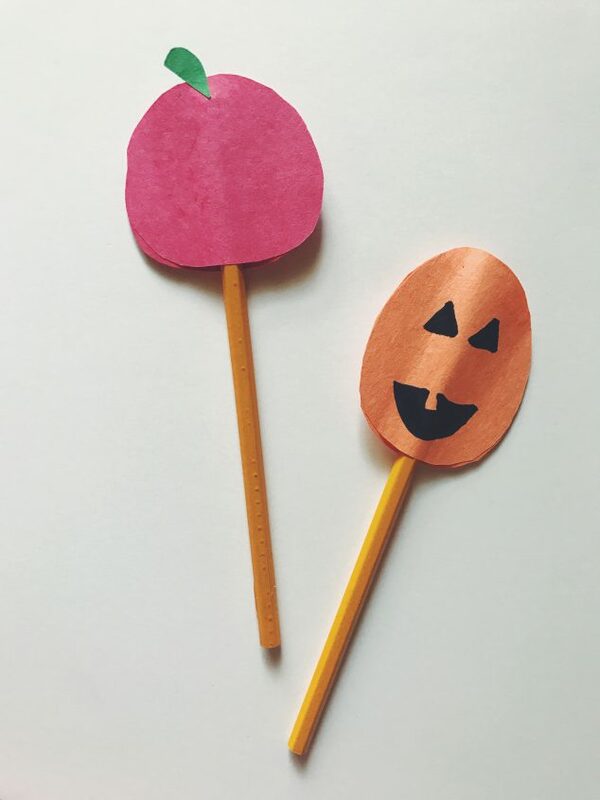 The possibilities of what to make are endless and Halloween pencil toppers with Halloween printed pencils are the perfect non-candy Halloween treat.